Narciso Rodriguez presents a complementary addition to his latest fragrance NARCISO: NARCISO eau de toilette. The new fragrance is a new chapter in the story of the alchemy of attraction and the art of seduction begun with NARCISO EAU DE PARFUM. 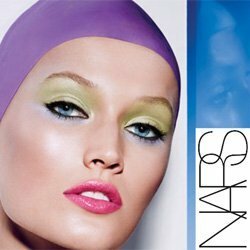 While NARCISO eau de parfum interprets the art of attraction with a power that’s implicitly intriguing, the new eau de toilette NARCISO highlights the power of attraction with a more explicit sensuality that’s highly compelling: NARCISO eau de toilette lends a new urgency to the art of seduction. 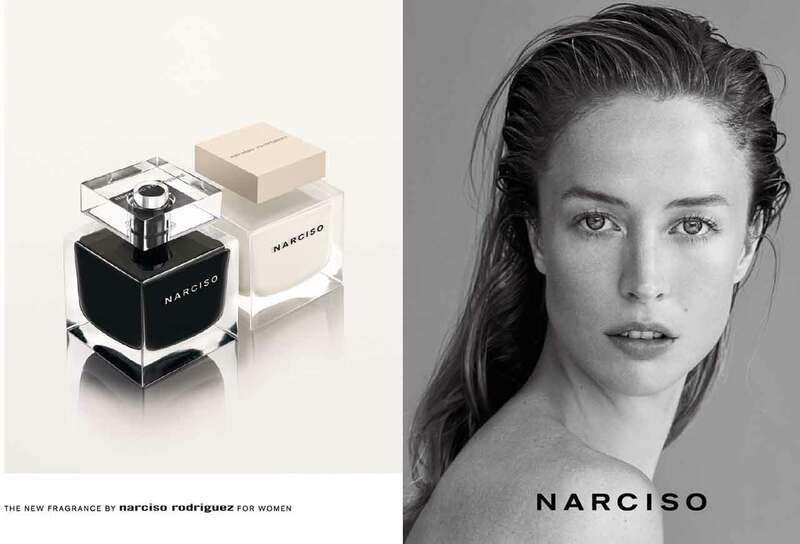 Today, NARCISO eau de toilette interprets a new facet of femininity with a vivid magnetism; capturing the ineffable nature of attraction precisely embodied by the new close-up portrait of Raquel Zimmerman. In this new image, the top model is mesmerizing as her unwavering gaze sends a powerful invitation that reflects the addictive, seductive nature of NARCISO eau de toilette. Bright top notes of white peony meld with Bulgarian rose to compose a heady white floral bouquet that transforms the signature musc into a crystalline yet sensual heart. Enhanced by voluptuous woody accords – black and white cedars and a most elegant vetiver – the eau de toilette is hypnotizing. While NARCISO eau de parfum and eau de toilette naturally share the same graphic codes, a palette reversal highlights their differences. Also a transparent glass cube, the sculptural bottle now reveals a soft sculpted half-oval suspended within, a rich black almost heart-like shape that echoes the purely provocative image of Raquel Zimmerman. The name of the fragrance remains a simple logo now in pure white. Adding yet another element of mystique, the signature rectangular top is transparent, as a tribute to the crystalline signature musc. Today, NARCISO eau de toilette celebrates a new facet of seductive femininity with an irresistible olfactory composition beautifully embodied by the hypnotizing new portrait of Raquel Zimmerman.